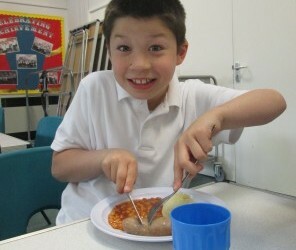 We promote healthy eating at Baydon St Nicholas and the importance of enjoying a healthy balanced diet. At morning playtimes all pupils in Foundation and Key Stage One are offered a piece of fruit or vegetable. At Key Stage Two pupils bring their own snack from home if they so wish but we do encourage snacks to be part of a balanced diet. Pupils aged five or under all eligible to receive free milk every day as well. Milk for pupils over 5 can be purchased by families if they so wish. For more details on how to register for this scheme please talk to Mrs Waterer in the school office. 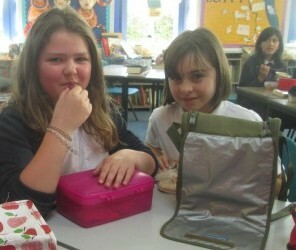 Pupils have the choice of eating a hot dinner in school or bringing in a packed lunch from home. Hot meals are provided by Sue Brady Catering and all pupils in Foundation and Key Stage One are offered the option of receiving a free meal as per Government Policy. School meals for all other pupils are available for the price £2.50 per day and are booked electronically directly through Sue Brady for two weeks at a time or as a termly block at the start. We strongly highlight the importance of drinking fresh water throughout the school day. All pupils are asked to bring in a water bottle for use in the classroom which can be refilled when needed. Pupils are encouraged to drink on a regular basis throughout the day during and out of lessons.